For the lover of Nature, there is no end to the supply of theological and philosophical musings on the wonder of God’s creation. Whether it is Ralph Waldo Emerson or Anne Dillard, Michael Pollan or Aldo Leopold, Wendell Berry or Barbara Kingsolver or even Mary Oliver, one does not have to look far to find 200 pages or so of poetic verse dedicated to the intricate beauty of those who inhabit the land. It is a secret delight of mine, I must admit, to linger over the pages of authors such as these, and to imagine in full color and with vibrant imagination the experiences that they detail on paper–the rush of the mighty wind, the cool waters teeming with dappled trout, the way in which words can transform even the obnoxious gadfly into a meditation on the holy, or a rotting trunk into a moral on the universe. But there is a limit, it would seem to such musings. Rarely, for example, have I seen an author turn their “reverent” gaze on poison ivy. It is as though this persnickity plant, ubiquitous though it may be throughout the United States, has failed to register in the writer’s worldview. It would seem that it is not worthy of the printer’s page. Perhaps it is the visual humility of this plant that causes it to escape our notice. For certainly it grows low to the ground, with only a few leaves to its name. 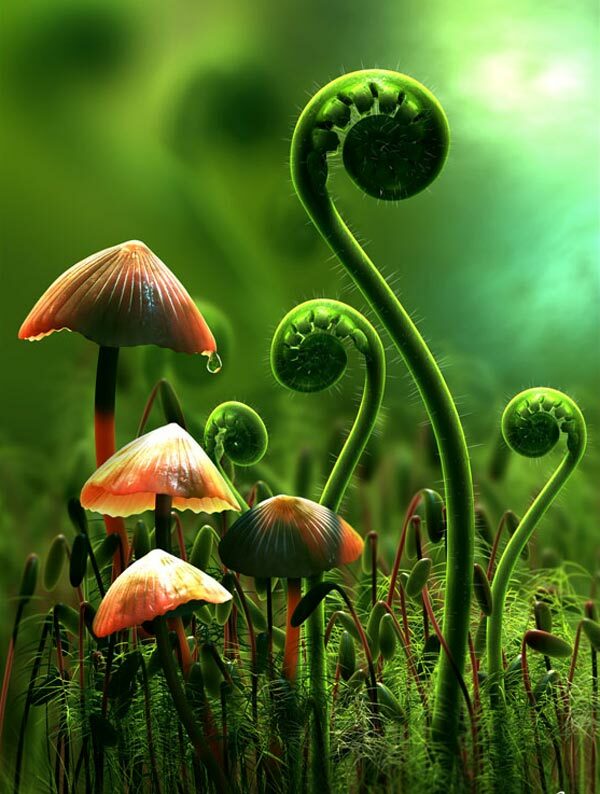 No wonder the plant at first glance–and even perhaps at a second and third–seems forgettable. It is literally drowned out by the glory of the oaks and the buzzing of the arthropods, often hidden beneath its more majestic neighbors. And so it is that we too easily forget this lowly creation as we turn our gaze to the grander aspects of Nature. We write it off as base, a pest to be avoided, and we go about our business glorifying its neighbors. But is this fair to poison ivy? Is it not majestic in its own way? If we wish to wax poetic over the majesty of God’s creation in the oak, ought we not also wonder at the cunning of this creature? I found myself wondering at precisely this question last week, following my first encounter with this lowly little vine. As a Californian from the Bay, I grew up unfamiliar with ivy, for I lived in one of the few places in this country where the plant doesn’t grow. And so it was that, when I moved to Philadelphia and began the process of amending the impoverished soil in my back yard for a small garden, it never occurred to me to familiarize myself with ivy. The problem of ivy never even crossed my mind. Which is precisely why, the day after a particularly vigorous weeding sans gloves, I was suprised to discover that my the space between my fingers on my right hand was becoming swollen with tiny blisters that itched the living daylights out of me. Even then, it took me almost a day to discover the source of the blisters, and to begin to educate myself so that I would never make the mistake again. Score one for the poison ivy. In underestimating poison ivy, I had, like so many nature writers, dismissed it from my notice, and this is precisely what allowed this little plant to teach me a lesson. For in underestimating its power, I succumbed to it. In ignoring the plant, I made it possible for the ivy to hold my attention for at least a week, an unfortunate reminder to me that some plants know how to pay it forward in ways that we cannot imagine. 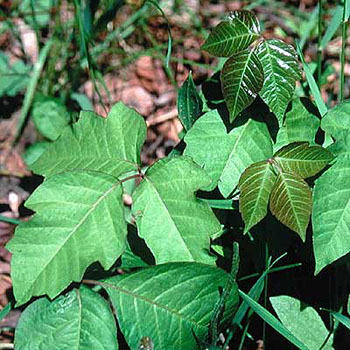 Some plants, like poison ivy, have a way of teaching respect to those who would offend them. For certainly, the oak is majestic, but its beauty has never impelled me to scour the library and the internet for information on how it works. It is interesting to me, in fact, that it is the more pesky plants and animals in God’s creation that inspire knowledge. We are often much more keen to understand the mosquitos and the poison ivies of God’s created order than the gaudy and obvious splendors. But rarely to we engage them with an eye towards the sacred. Rarely do we speak of the sumacs and the fleas as God’s good creation as well. As for me, I may have trouble seeing the fleas as beautiful, but I have gained an appreciation for poison ivy. In the garden, I approach it with reverence, and I think twice before I deign to interfere with its turf. It may look lowly, but even the highest of us all dress down once in a while. And besides, it was in some of the lowliest creations that Jesus himself found beauty and God’s glory at work.